Hard antler refers to elk and deer antlers that have calcified. Hard antler starts to calcify by the end of summer in preparation for the fall" rut" season. Each set of antlers, shed annually by elk bulls and deer bucks, are unique. Artists create beautiful items from these wonders of nature. In antler art, no two pieces are exactly alike because each is made from a natural, distinctive item. 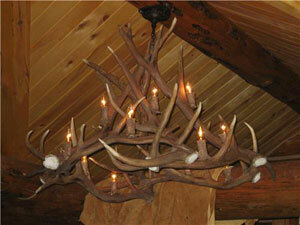 The graceful chandeliers, coffee tables, and lamps created from hard antler complement many styles of furnishings. Some elk breeders sell sheds or harvested trophy antlers to companies that manufacture and sell antler art, and some create their own products to sell by mail order or at local outlets. 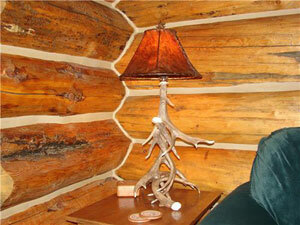 Hard antler is also used to produce decorative items such as knives, jewelry, and buttons.